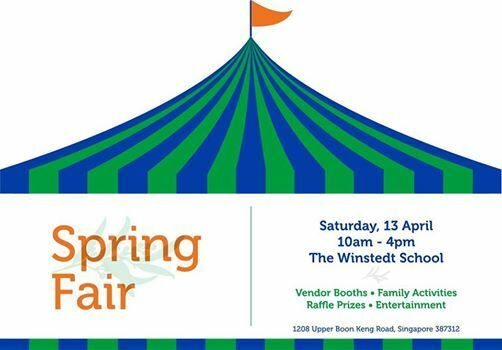 Save the date for Winstedt's annual Spring Fair! 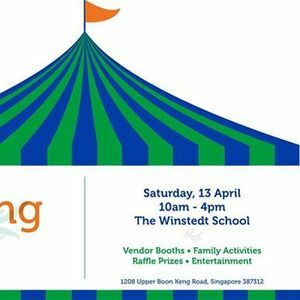 This fun, family event features local vendors, bouncy obstacle course, 'Make Your Own Slime booth, skating lessons, carnival games, BBQ and entertainment as well as some amazing goody bags and raffle prizes! Raffle tickets are available from any Winstedt student or at the door the day of the event. Lucky Door and Red Dot prizes winners must be present to collect the prizes. Read all the way day for the full list of amazing prizes and auction items. Raffle Ticket Prizes will be drawn at 12:00 and again at 15:00 on the day of the fair. Ticket holders do not need to be present to win, but they do need to include legible contact information on their ticket. 1st Prize	- Rimba Resorts Malaysia - 3D2N Accommodation for 2 adults and 2 children, 2 breakfasts, 2 lunches and 2 dinners per person, two-way boat transfer from Tanjung Leman ferry terminal, valued at $844. 2nd Prize - Littleones Photography - One free family photo shoot in their studio or at your home, plus a free acrylic block, valued at $675. 3rd Prize	- Tempat Senang Spa Resort Batam - 2D1N for 2 adults including half day Spa and transfers, valued at $518. 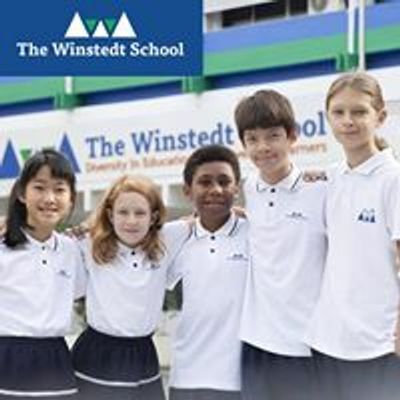 4th Prize	- Mum & Dad Night Out - Expat Kitchen voucher for 2 adults evening cooking class for May, PLUS 2 x Gold Class Movie tickets, PLUS Pinto's Thai Tapas Lunch / Dinner Voucher, total valued at $430. 5th Prize	- Desti Saints Shoulder Bag, valued at $245. With every pack of 20 yellow coupons bought ($1 each – to be used for the kids activities) a separate ticket will be given with a number that will be going into the Lucky Door bowl for kids and adults and these prizes will be drawn on the hour throughout the day. Winners must be present to collect these prizes. The first 300 people to attend the fair will receive a Goody Bag full of additional deals! Some of these goody bags will have a hidden Red Dot with a number and it will be connected to an additional prize! Winners must be present to collect these prizes. •	Limited edition Manchester City Chinese New Year jacket worn and signed by Raheem Sterling. This is a one and only item and is not available for sale anywhere! Special thanks to our raffle prize, goody bag and door prize sponsors! Avo & Co. Chai’s Classic Home Collection Skating Since Sixteen Expat Living Singapore The Greek Kouzina FDH The French Wine Shop First Code Academy Funtastic About Oils - F.A.O Gayathri Menon HeyHah Chips Kirakira Kandyキラキラキャンディ Littleones Photography Summer-Moments.com Otolith Enrichment Presto Expat Motoring Way of the Horse Wellness Within Africology Skincare Singapore Champions Public Golf Course, Range, Academy & Pro Shop Coca-Cola Singapore Beverages Kudibal Desti Saint Handbags Expat Hair Studio Expat Kitchen Forest Adventure GoldenVillage Cinema Helping Hands Penan Linda Preece Photography Perfect Attire Pinto Thai Tapas Rimba Resort , Pulau Sibu, Malaysia Sinsations by Radhika Stones that Rock Tempat Senang Temple Candles The American Club, Singapore The Providore UBU Swimwear VektroPack Wave House Sentosa MILA "Her Smile, Your Joy"